Tracey identifies herself as a multipotentialite (find the TedTalk here). She supports individuals and companies who challenge the status quo, dream of a better future and are willing to do what it takes to utilize their full potential. Her Business Sculptors superpower is that of a change catalyst – she makes things happen, quickly, by establishing buy-in and the necessary commitment to change. Tracey gets people and companies to move forward and achieve significant results. She inspires, motivates and generates energy and enthusiasm in others. The first 5 years of her career were spent in New York, in the financial service industry, where she experienced 9/11 first hand. The experience made her question her purpose and gave her clarity on the difference she wanted to make. Shortly after this, she returned to South Africa where she developed skills in sales – becoming a top achiever in the first year. She did this through applied study of human behaviour, adding value and challenging the stigmas associated with her industry. Her top clients included Engen, Old Mutual, Momentum, Naspers, Oceana Group, BP, ENS, Parliament and Ackermans. Tracey then opened her own niche Executive Search practice where she studied various behavioural and cognitive assessments to help identify and support great talent. Human Capital development quickly became her core focus and she continued using assessments to help her clients achieve greater results. Her portfolio naturally expanded to include development and implementation of change management initiatives and leadership development programs. In 2014 she reached another transition in her career which led her to the study of the brain and its’ function on behaviour and learning – neuroscience. 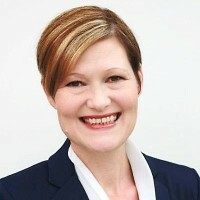 Since then she has acquired a Neuroscience based coaching qualification through the Neuroleadership Group. She is a member of the International Coaching Federation (ICF) and a Comensa practioner. Tracey unleashes the potential within individuals and companies by addressing behaviour, mind-set and capability barriers. She supports her clients to navigate uncertainty, embrace innovation and push the boundaries of what is possible. The process calls for some tough conversations, clarifying a vision and questioning the status-quo. Transformation is achieved with a combination of coaching, facilitation, assessments and training. She is a qualified Brain Based Coach and utilizes Skype to coach individuals locally and across the globe. Her training modules emphasize practical application to the individuals current responsibilities which delivers short and long-term results.